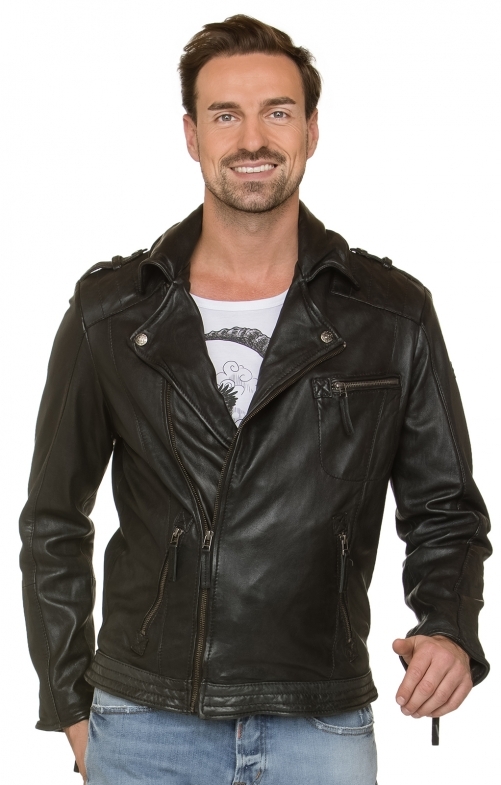 Leather jacket Bronson for men by Stockerpoint in black Nappa. Casual biker jacket in trendy "used look" for a particularly cool appearance. Due to the special production and wire in the edges, you can style the jacket individually and is fully in line with the trend. The stitching on the shoulders and the three side pockets underline the typical biker style.